European clients are continuing to purchase growing amounts of Israeli defense equipment. 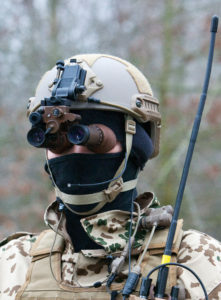 Recently, Elbit Systems announced that one of its subsidiary companies was awarded with a contract by a European state (not named), for the supply of thousands of advanced electro-optic (visual) systems for infantry soldiers. The contract is worth 35 million dollars. According to Bezhalel (Butzi) Machlis, President and CEO of Elbit, there is “growing demand from European customers” for Elbit’s products. The trend of increased Israeli defense exports to Europe was also confirmed in June, by Brigadier-General (Reserve) Michel Ben Baruch, who serves as the head of the International Defense Cooperation Directorate at the Israel Ministry of Defense. The Directorate is in charge of formulating Israel’s defense export policies. According to Ben Baruch, Europe is an important export market for Israeli defense products. His Directorate is “working very hard these days, together with the defense industries, to increase Israeli defense exports to Europe, and to strenghten the trend of the past two years,” he said. “Israeli industries have much to offer regarding all of these threats,” he said.